Outdoor events might be the best part about the warm weather, and they tend to include some of the same elements. If you don’t have a barbecue, you should talk to the professionals at A Tool Shed about rental equipment. 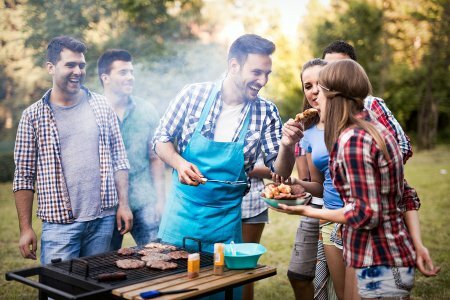 Get ready for your upcoming outdoor event and read on to learn about our barbecue rentals. We pride ourselves on our array of tools that we have to offer at A Tool Shed, so chances are we’ll have what you need for your outdoor event. A barbecue is a must have, and even the smell of one in action is enough to make the mouth water. We can provide you with towable charcoal and propane grills for extra convenience, as well as serving tables. We also offer medium barbecues and rotisseries, so think about what you need and talk to our professionals. If you need a barbecue , lawn mower, or any other tools for rent in San Jose, you can always contact A Tool Shed Rentals or check out our website. Equipment rental is our specialty, and we have a wealth of tools to choose from. Give us a call at 1-800-286-6574 if you have any questions for us. When precision and accuracy are the keys to success, you’ll need measuring tools to make sure you’re on target. Measuring tools come in all shapes, sizes, and configurations, so think about what you need to measure when choosing your tools. In the meantime, keep reading for your guide to measuring tools. The tape measure is one of the most basic tools you can use, and you can find one in most houses. This is a versatile tool that can be used in a variety of situations and projects, but it is best suited for smaller scale projects. If you have a retractable tape measure, you can use the built-in leverage to measure objects and materials without a partner. Once you’ve got the measurement you need, simply roll the tape back into the measure and move on. You can even use a tape measure with a digital readout for extra convenience. 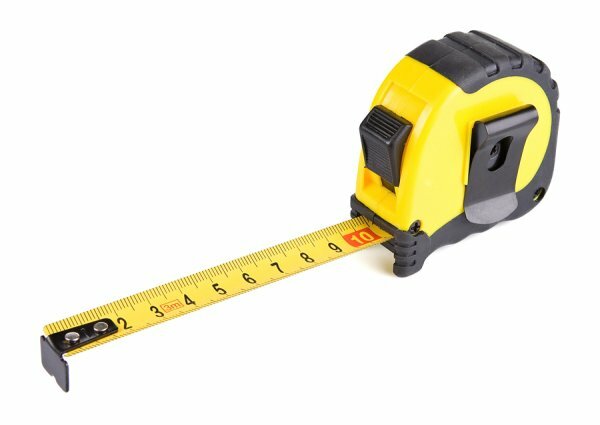 If you’re looking to measure a longer distance and a standard tape measure won’t cut it, then you might need a slightly different tool. In this case, you might need a long tape, which tends to be more appropriate for outdoor measurements. A long tape is essentially a wheel of measuring tape that you can unwind as you need. Use the handle to retrieve the tape back into the case when you’re done, and then loop the end of the tape around it to keep it secure. Sometimes even a long tape isn’t the right tool for your measuring needs. A measuring wheel will let you measure even longer distances, so it’s also appropriate for outdoor measurements. All you need to do is walk the wheel around like a wheelbarrow, and the machine inside will tell you the distance. Do you need to get your hands on some quality measuring tools for rent in San Jose? Feel free to reach out to the professionals at A Tool Shed Rentals. You can also find lighting equipment, generators, and demolition tool rentals at our locations. Call us at 1-800-286-6574 or see our website for more details. You might need a table saw for your project, but you should know how to use it properly in order to stay safe. This kind of tool is useful, but it can be dangerous as well. Watch this video on the right way to use a table saw. When you’re using a table saw, the first step is to set up the fence that will guide your cut. Set your blade height so that it’s just higher than the thickness of the wood that you’ll be cutting, and then measure the gap between the fence and the blade. If the fence is parallel with the blade, you can put on your safety equipment and use a push stick to start your cut. Don’t forget to call A Tool Shed Rentals at 1-800-286-6574 whenever you’re looking for equipment for rent in San Jose . Our tool rentals include jackhammers, tractors, and car tools. Hanging drywall is a task that you may very well be able to complete without a professional, but you can’t get it done without the right tools in your arsenal. Some of these tools are specifically designed for drywall work, while others are used more routinely. Here’s a look at the tools that you’ll need to get the job done. Certain tools that you’ll need for your drywall project are constructed for that particular purpose. You will need a hammer, saw, and screw gun, and all of these should be designed for drywall use. These tools are much like their generic versions, but they have a few small differences that make them most appropriate for working with drywall. For example, the head of a drywall hammer is slightly tapered, and a drywall saw has a pointed edge so you can break through the drywall before you start cutting. Once you’ve acquired your drywall-specific tools, you might already own the rest of the tools you’ll need to hang your drywall. You will need 2 types of knives: utility and taping. It’s important to have a sharp utility knife so you can cut through the paper of the drywall. Then, you’ll need a taping knife in order to spread out the compound and keep it smooth. The specific type of taping knife you need depends on how far into the process you are. You probably already assumed that you needed screws and nails to hang your drywall. 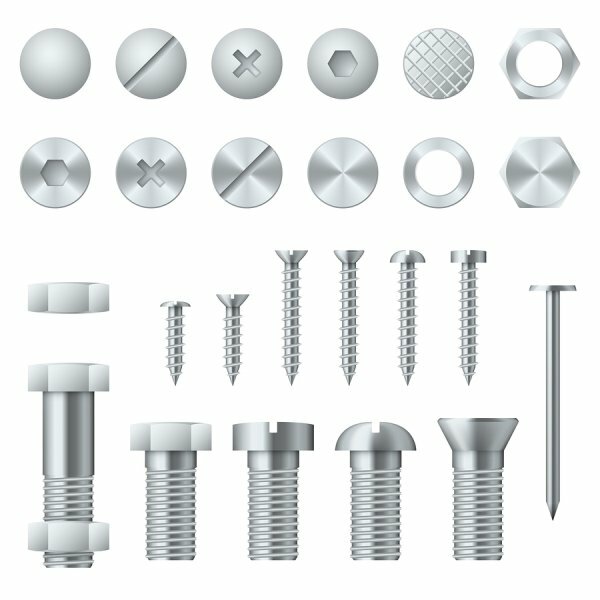 There are countless different types of screws and nails, and you can in fact find screws that are meant for drywall projects. Use a screw gun if you’re using screws, and use a drywall hammer if you plan to use nails. You’ll need some specific tools to put up your drywall, so remember to call A Tool Shed Rentals at 1-800-286-6574 to pick up your tool rentals. Our San Jose tool rental shop is stocked with all kinds of new and used equipment, from jackhammers to lighting equipment. Head over to our website or 1 of our locations.